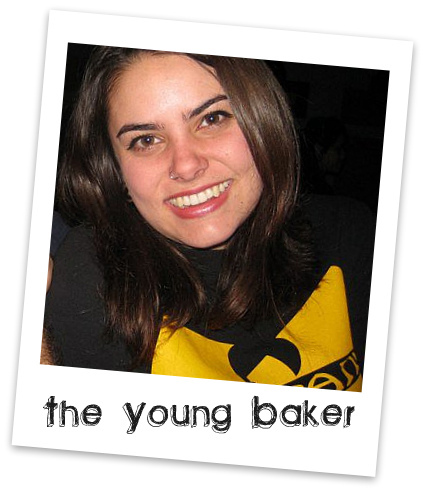 The Young Baker is actually the person behind my first two Food Buzz Top 9’s : Chloe’s Cowboy Cookies and Hello, Cupcake. Folks just love to buzz baked goods! Anyway, besides catching up on her sleep, keeping a busy social calendar, and brainstorming summer employment options, she’s whipping up more Cowboy Cookies in the kitchen – this time with pecans, and testing my new stand mixer for me with this healthy version of raisin bread from Food Network’s Ellie Krieger. With the exception of the owl cupcakes made with two sizes of Oreo cookies (Hello, Cupcake!!!) that she made with her BFF, we bake using healthy ingredients like oats, wheat germ, whole wheat flour and, now, coconut oil. I’ve always loved the flavor of coconut and have used coconut milk in smoothies and curries, but since the Natural Products Expo last weekend I’m now officially obsessed with all things coconut and its health benefits. More on that later; lets get to the recipe for the raisin bread: honey in the dough keeps it moist and tender, whole wheat flour for additional fiber, and raisins and coconut oil add beneficial antioxidants. * We substituted Aunt Patty’s Organic Coconut Oil for the canola oil, but used canola oil to brush the top of the loaves. 1. Heat the water in a small saucepan or in the microwave, check the temperature, it should be 120-130 degrees. Make the dough: Combine both flours, the dry milk, egg, canola oil, honey, salt. yeast and warm water in the bowl of a stand mixer fitted with the dough hook. Mix 3 minutes on the lowest setting, then increase to the next highest setting and mix for 5 more minutes. The dough should be soft and sticky. 2. Transfer the dough to a large bowl coated with cooking spray. Cover tightly with plastic wrap and let rise at room temperature until the dough has nearly doubled in size, about 1 hour, 30 minutes. 4. Fold the dough: Transfer the dough to a floured work surface. Picture it as a loose square and lift up one side of the dough and fold about one-third of it across; press down on the dough with spread fingers to remove any air bubbles. Repeat with remaining 3 sides. 5. Prepare two loaf pans by misting with cooking spray. Divide the dough in half; roll out each half into an 8-inch square. Brush each square with canola oil, then sprinkle with cinnamon, brown sugar, and raisins. . Roll up each square into a tight cylinder; place seam-side down in the prepared pans. Cover tightly with plastic wrap and let rise at room temperature until the dough fills the pans and springs back when touched, about 1 hour, 30 minutes. 6. Preheat the oven to 375 degrees. Brush the loaves with canola oil and bake until golden brown, 25 to 30 minutes. Remove from pans and transfer to a rack to cool completely. Priscilla, your Young Baker is beautiful–just like mama. 🙂 I love, love cinnamon raisin bread but I rarely buy it because I know I’d devour the entire loaf. However, the inclusion of whole wheat in your version would eliminate the guilt so I might have to try this one. I like to toast my cinnamon raisin bread and eat it with a slice of cheddar cheese. Sounds weird but it’s yummy! 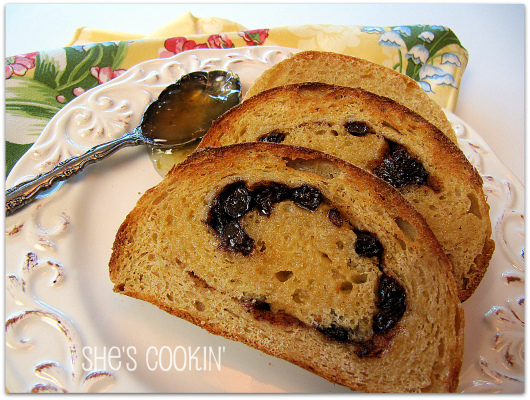 Your cinnamon raisin bread is gorgeous – so glad that you are enjoying your new mixer!!! So much fun to have the Young Baker home!! Love the beautiful circle of raisins peeping through the bread. Gorgeous and very lovely texture, Priscilla! Bet you’ll be using that mixer a lot more now. It’s the perfect kitchen savior! Love the bread too. I have used my side bar as a reader for some time and didn’t realize that you weren’t on it;-( So, I just fixed that:-) I’ve been following you primarily on Facebook for awhile now, gotta love Facebook. That looks gorgeous! Such a pretty bread, turned out fabulously! What? I can’t believe you would leave a Kitchenaid mixer in it’s box for more than 20 seconds! I adore mine. Bravo to the Young Baker for breaking it out and on such a great recipe! So good looking and yummy! Ooh can I toast that bread and spread butter all over it? LOVE raisin bread. @fooddreamer – Lol, I’m bad, plus I’m not even close to being the baker that you are! The cinnamon bread looks divine! Thanks for sharing the recipe. 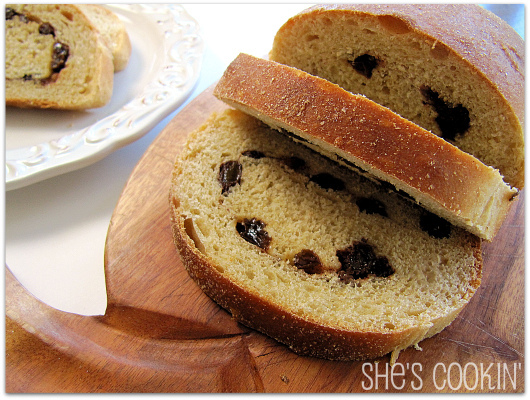 This cinnamon raisin bread looks sooo good, I would so love to have a slice right now! If the Young Baker can do it, so can this pre-geriatric pastry chef wannabee! I love the use of wholemeal flour and non fat milk, makes me feel a lot better in the mornings 🙂 Looks amazing, just in time for breakfast for me! Love cinnamon raisin bread but never tried a whole wheat version. Look forward to making this! how many calories per slice? !